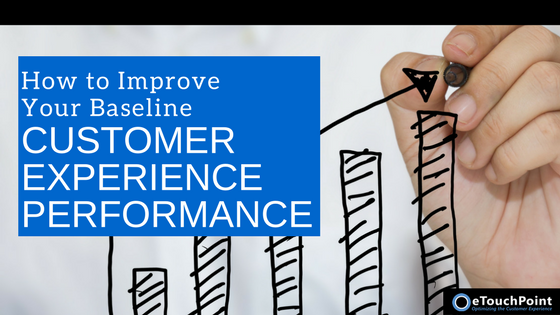 Your baseline CX metrics provide a solid foundation for charting the evolution of your program over time. These metrics help you understand how each step you take affects the customer experience. Customer-savvy brands strive for great CX—but what impact does CX have on your bottom line? The Harvard Business Review spells it out plainly: happy customers stick around and spend more. X-savvy businesses understand the link between great service and engaged employees. Find out how investing in customer experience can drive financial gains in this eTouchPoint thought leadership article. With today’s customers demanding more from the customer experience than ever before, businesses must ensure their CX delivers to high expectations. Data holds the keys to optimizing the customer experience. Learn how data analytics improves CX in a helpful read from Forbes. What are characteristics of the best CX metrics? And what pitfalls should you avoid in constructing your company’s CX program? CX guru Bruce Temkin weighs in on these and other CX metrics topics.